The two bottom-tier teams clash in match 38 with slender hopes to qualification. 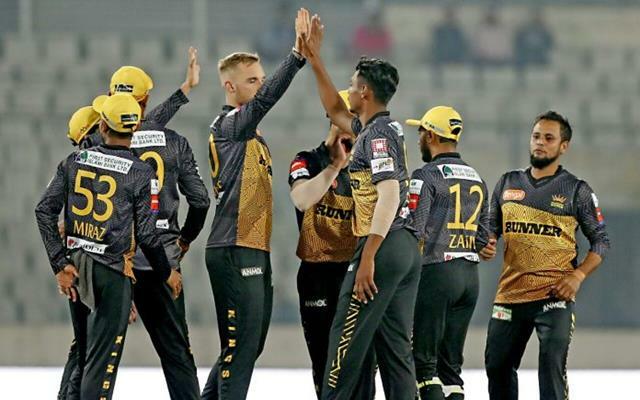 With eight points and two games to play, the Sylhet Sixers literally have the doors shut on their chances of qualifying into the next round of the Bangladesh Premier League (BPL) 2019. Although a mere mathematical chance still remains, the Sixers will know all too well that their season is all but over. 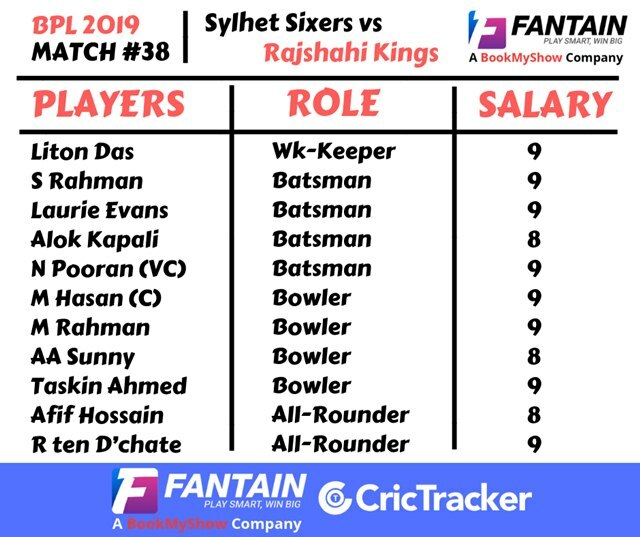 The Rajshahi Kings are just above the Sixers in the points table and the situation isn’t any better for them either. With the rest of the competition a good two to four points ahead of them and with games in hand, the odds are heavily against their qualification. The Sixers boast of a strong batting line-up and they would look to use this to their advantage. Meanwhile, the Kings are low on morale after their 6-wicket loss to Rangpur Riders. That said they would look to rally their troops for one last hurrah and finish the season on a high. The Zahur Ahmed Chowdhury Stadium, Chattogram. Note that the track used for the previous game here was a new one sporting a tinge of grass. The seamers would be excited to bowl on this one as the batsmen visibly struggled to get going in the previous game played here. Run-chase record: the team chasing has won four from the last nine ‘night’ T20 games. Liton Das (WK), Jason Roy, Afif Hossain, Sabbir Rahman, Nicholas Pooran, Mohammad Nawaz, Sohail Tanvir, Alok Kapali (C), Taskin Ahmed, Nabil Samad and Ebadat Hossain. Laurie Evans, Jason Charles (WK), Mominul Haque, Fazle Mahmud, Soumya Sarkar, Ryan ten Doeschate, Mehidy Hasan Miraz (C), Christiaan Jonker, Arafat Sunny, Kamrul Islam and Mustafizur Rahman. Keep an eye out for Nicholas Pooran, Laurie Evans, Sabbir Rahman, Ryan ten Doeschate, Liton Das and Taskin Ahmed.